Pen & Sword Military, 9781781591482, 384pp. 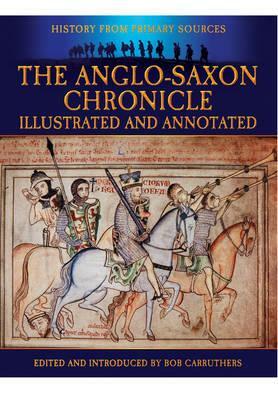 The Anglo-Saxon Chronicle is one of the most important sets of historical documents concerning the history of the British Isles. Without these vital accounts, we would have virtually no knowledge of some of the key events in the history of these islands during the dark ages and it would be impossible to write the history of the English from the Romans to the Norman Conquest. The history it tells is not only that witnessed by its compilers, but also that recorded by earlier analysts, whose work is in many cases preserved nowhere else. At present, there are nine known versions or fragments of the original 'Anglo-Saxon Chronicle' in existence. All of the extant versions vary (sometimes greatly) in content and quality, and crucially all of the surviving manuscripts are copies, so it is not known where or when the first version of the Chronicle was composed. The translation that has been used for this edition is not a translation of any one Chronicle; rather, it is a conflation of readings from many different versions containing primarily the translation of Rev. James Ingram from 1828. The footnotes are all those of Rev. Ingram and are supplied for the sake of completeness. This edition also includes the complete Parker Manuscript. The book is illustrated throughout with paintings and engravings.